Every business wants to grow more each year than it did during the previous one. It often falls on employees’ shoulders to make it happen. That’s why it’s important to have a plan in place to improve workplace efficiency. Training your team is every bit as crucial as hiring the right talent and adopting new technologies. But how do you build a more efficient team without being forceful or creating a stressful environment? 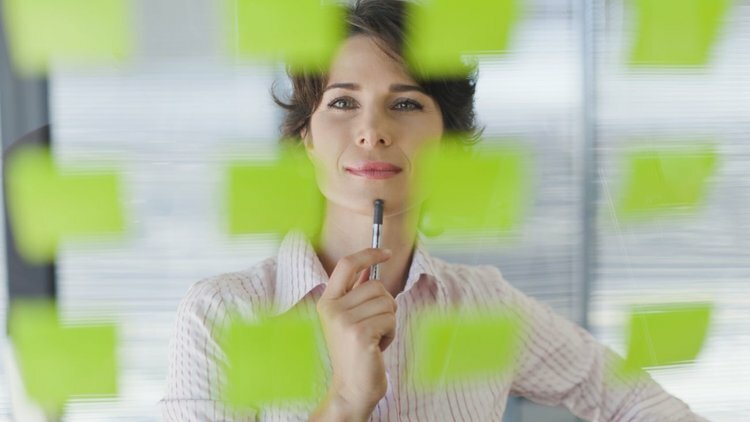 Here are a few tips to boost productivity while you lean up your team’s processes. Even if you have a small space or an open-office environment, project-management tools can help your employees save valuable time. In most cases, your team members must walk to a colleague’s desk to discuss tasks and issues related to projects. These back-and-forth conversations can be a huge waste of time. Bringing those conversations to a platform such as Slack can not only save your team an enormous amount of time but also provide a one-stop communication method for the entire team. Asana and Basecamp are two other tools that enable workers to track and efficiently complete projects by dividing tasks among team members. Gamification is a highly effective strategy that promotes productivity and efficiency. It began as a trend, but gamification now helps improve many businesses and enterprises. Even big brands such as Microsoft use gamification to increase the productivity of call-center agents. The concept of gamification is simple: It co-opts the techniques used in video games to motivate teams and employees. You simply encourage and appreciate hard work by setting up a reward system for completing tasks. And while the terminology is fairly new in the business world, the philosophy has been around for many decades. There are different types of gamification strategies. Some companies prominently display employee-of-the-month boards to spur friendly competition for the top spot. Others implement incentives such as paid vacations to motivate employees to work harder. And, of course, there’s the all-time classic strategy: job promotions. 3. Switch to remote teams. Many startups and online businesses are abandoning the office environment to use remote teams. Buffer, Edgar, Zapier and Groove are among the many companies that run on fully remote teams. It’s more than just a trend. According to reports, using remote teams improves workplace productivity by 13 percent. Americans spend 29.6 billion hours commuting to work. Switching to remote teams can help your employees save time and choose a more comfortable environment in which to work. 4. Cut down on unnecessary meetings. Connecting with your employees and keeping track of projects is important. But you don’t have to host meetings every morning just to catch up on the current progress. Studies show that 37 percent of an employee’s time is spent on meetings. At the macro level, United States companies spend more than $35 billion on meetings every year. Excessive meetings are not only a waste of time and money but also can also affect team morale. Making use of those project-management tools mentioned earlier can help you cut back on meeting burnout. Ideally, you should be able to oversee any project from the comfort of your home. Face-to-face meetings always will be important. Just consider limiting the number of meetings and using video-conferencing platforms. 5. Establish better time management. Keeping tabs on your employee’s work hours is an important task that affects business growth. It’s not just about making sure your employees start work on time. You want to motivate them to be more productive with what they accomplish during those hours. And you should strive to help them avoid costly bad habits such as procrastination. It can be difficult, though, to track hours worked. You might be able to see an employee at his or her workstation, but that doesn’t mean your team member actually is hard at work. Thankfully, there are apps that make this easier — even across time zones. You also can encourage employees to take stress-reducing breaks and gain an energy boost (either of which can help workers become more efficient when they re-approach the job at hand). Multitasking is a bad habit that can lead only to procrastination and incomplete projects. According to Wrike, 40 percent of productivity is lost when employees must switch between different tasks. Don’t force your employees to do multiple tasks. Instead, use online tools and apps that automate the smaller, less-important jobs. Invest in better email marketing services and automated processes. Automate various other workflows, such as sales and lead-generation efforts. While you follow these proven strategies to increase productivity and efficiency, don’t be afraid to experiment with new ways to improve your business and employee growth. You can help your employees learn new skills by giving them free access to online learning platforms or sending them to selected, worthwhile business conventions. Boosting efficiency requires more than installing productivity apps and implementing new methodologies. It’s a continuous effort that demands constant optimization.